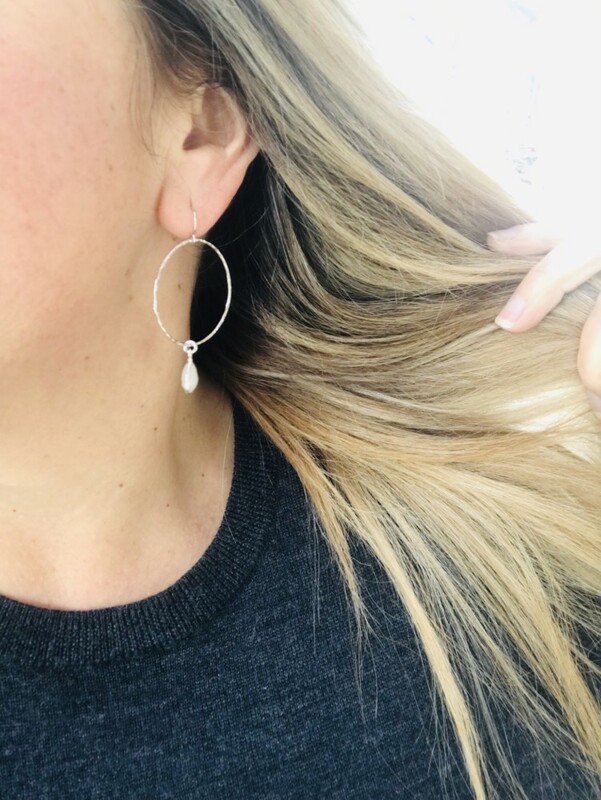 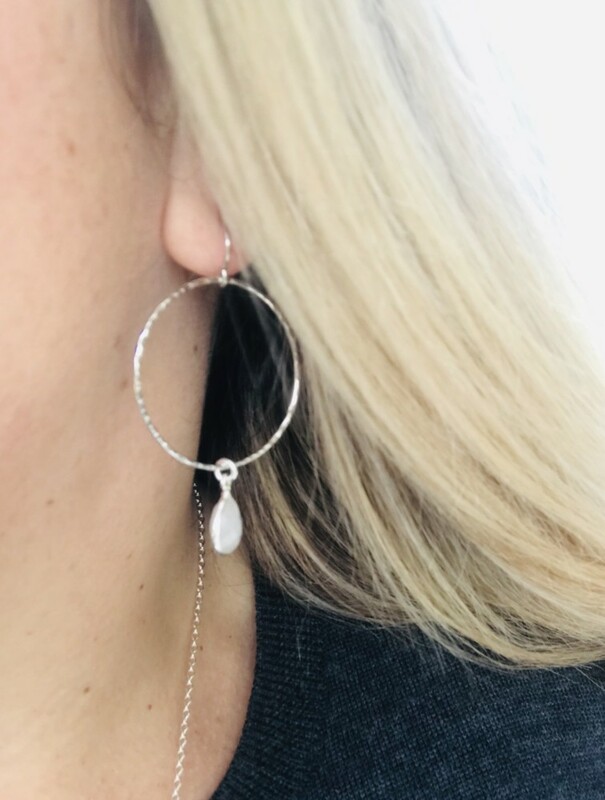 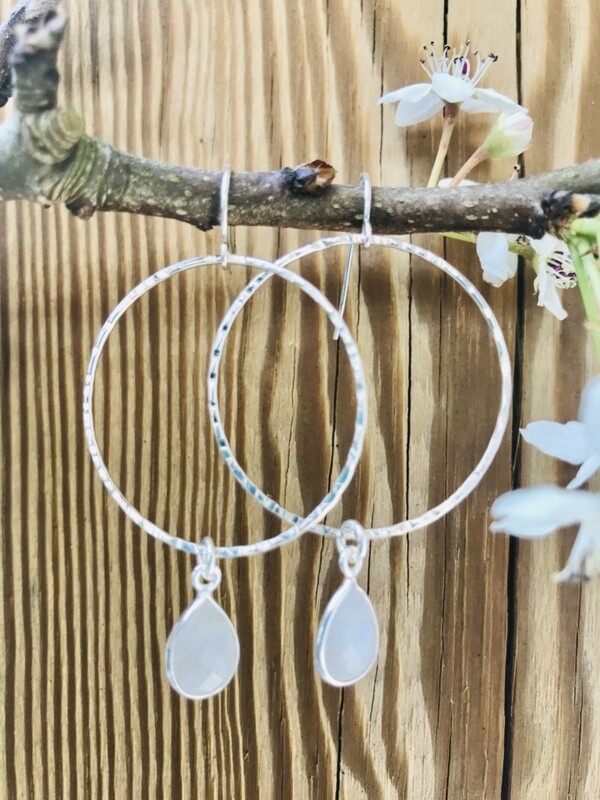 Silver Moonstone Drop Hoop Earrings on a Hook Ear wire. 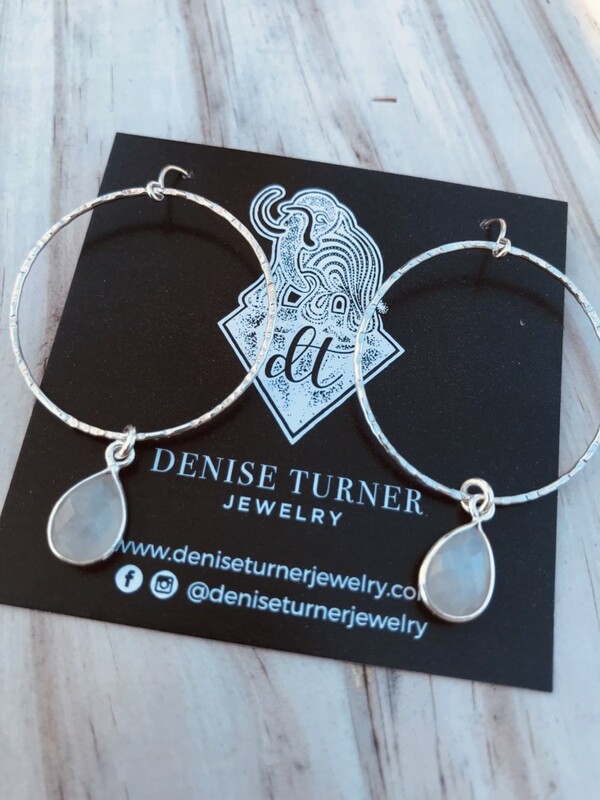 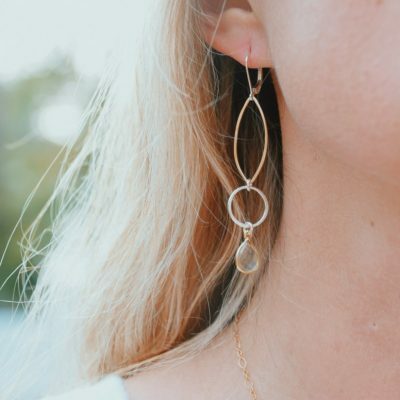 Rainbow Moonstone and Sterling Silver Dangle Hoops, these are a customer favorite, everyday earring. 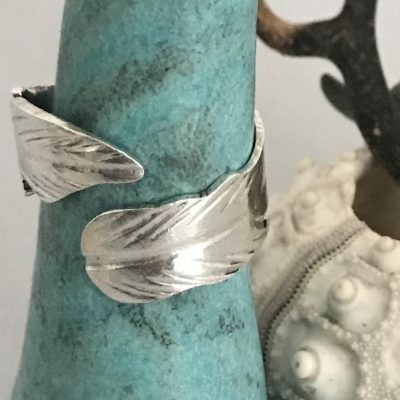 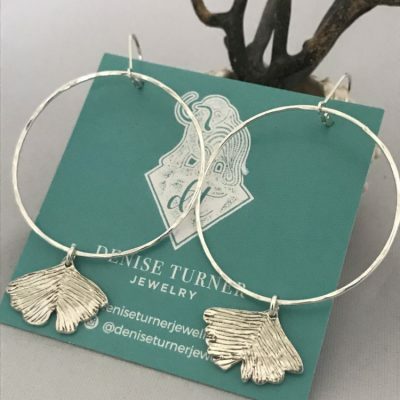 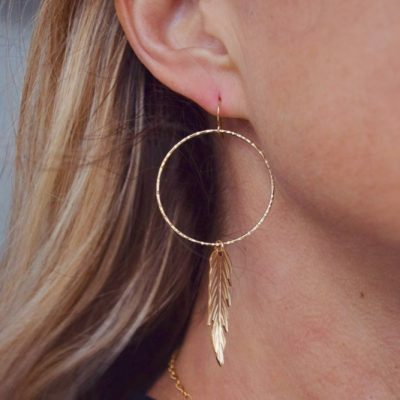 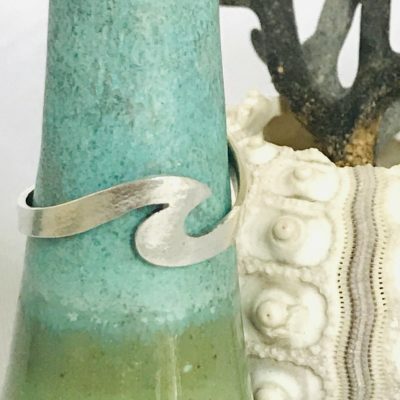 This pair is on sterling French ear wires.